Bellator returns to action this second Friday in February with Bellator 133 at the Save Mart Center in Fresno, Calif. The card is headlined by a big fight in the middleweight division for two guys coming off losses in the Bellator cage. Those men are former Bellator middleweight champion Alexander Shlemenko and the man with hands of stone, Melvin Manhoef. 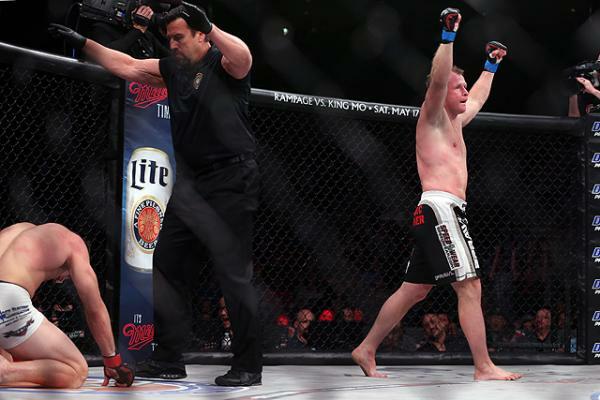 Shlemenko last fought under the Bellator banner in September when he lost for the second straight fight. Unlike his other recent loss to Tito Ortiz in a light heavyweight contest, Shlemenko had a middleweight strap hanging in the balance against Brandon Halsey. Halsey took the belt when he finished the Russian striker in quick fashion. Shlemenko, who has since picked up a win outside of the promotion, will look to rebound to the top of the Bellator contender ladder to get a shot at a rematch with Halsey. Manhoef, who was brutally knocked out by his kickboxing compatriot Joe Schilling, stands in Shlemenko’s way. Pat Curran also returns to the cage following his title fight loss to Patricio Freire. Curran relinquished his belt to Freire, and he now seeks his own path back to a championship tilt. He takes on another tough featherweight in Daniel Weichel, who is riding a six-fight winning streak into this co-main event battle. Weichel hasn’t fought in a year, since submitting Desmond Green at Bellator 119. Two additional bouts round out the main card. 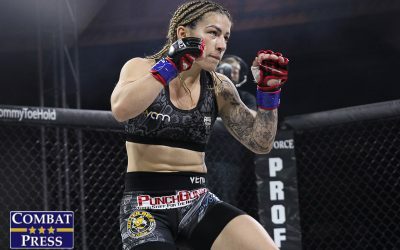 Female featherweights collide when Invicta FC and Strikeforce veteran Julia Budd takes on short-notice replacement Gabrielle Holloway. And at welterweight, prospects Clayton MacFarlane and Chris Honeycutt take center stage. Bellator 133’s preliminary card starts at 7 p.m. ET on Spike.com. 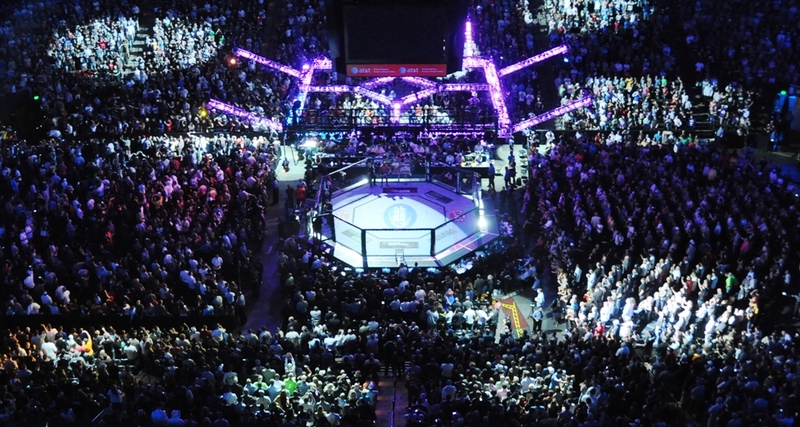 The main card will air live on Spike TV beginning at 9 p.m. ET. The size discrepancy in this fight could once again be detrimental to Alexander Shlemenko, whose only recent losses came to Tito Ortiz at 205 pounds and Brandon Halsey at middleweight. This is sure to be a war between two guys who are going to look to stand and trade. Melvin Manhoef has incredible knockout power that makes him a deadly foe for anybody. The problem with Manhoef is his chin, which seems to be rapidly deteriorating. If you want to talk about upsetting losses, Manhoef’s last fight against Joe Schilling should have been a win for Manhoef, but it wasn’t. The 38-year-old had that fight wrapped up in the first round when he had Schilling on the ropes, but Manhoef lost control of his striking and left himself open. 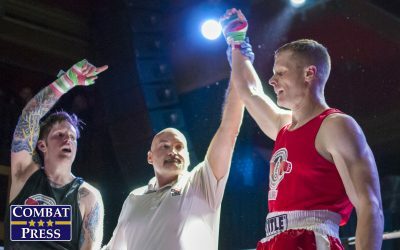 The result was a knockout win for Schilling. Manhoef needs to bully Shlemenko, but he might not have the ability to do so. 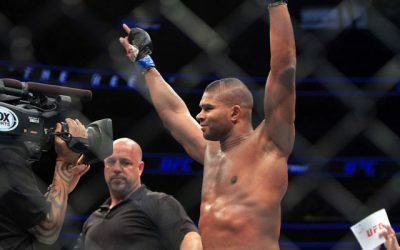 Hector Lombard is another fighter with knockout power similar to that of Manhoef, yet Shlemenko was able to withstand Lombard’s onslaught for five rounds. Shlemenko’s weakness is his grappling. His last two losses were submission defeats. 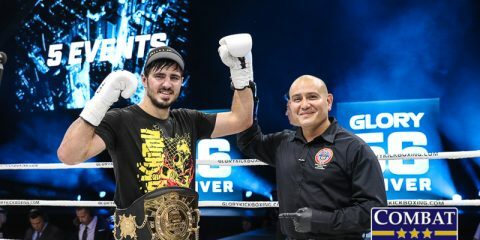 He did rebound against Yasubey Enomoto in a Russian event, but a victory in a regional promotion isn’t exactly reassuring. Manhoef’s kickboxing background is undisputed, but it’s difficult to ignore Shlemenko’s reign in Bellator and his success outside of Bellator after his loss to Lombard. This fight could certainly go either way. One place it won’t go is to the ground, and that leaves us with what is more than likely to play out on the feet: Manhoef landing a hard shot, or Manhoef getting reckless and Shlemenko using a superior cardio advantage to outlast and eventually wear down Manhoef. Shlemenko doesn’t have dynamite in his hands, but Manhoef’s chin is untrustworthy. While it’s easy to see this fight going in favor of either man, Shlemenko will ultimately outlast Manhoef. Shlemenko by either decision or late knockout. Pat Curran is another former Bellator champion looking to rebound in the promotion after a 1-2 record in his last three fights. Curran dropped his belt to Patricio Freire at Bellator 123 in a competitive fight between the two. Curran is a skilled grappler with a ground game that has led to seven submission victories, including his most recent victory over Daniel Straus via rear-naked choke. The 27-year-old gave Freire, a jiu-jitsu black belt, some tough moments on the ground, and Daniel Weichel will definitely have a tough time with Curran on the mat as well. 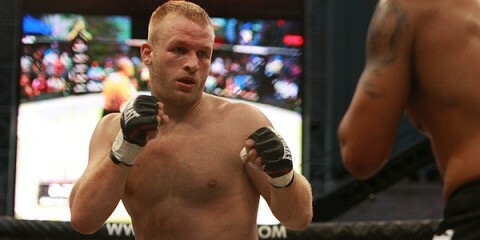 Weichel is a submission specialist with 21 submission victories in his career. He will certainly look to bring this fight to the ground and try to submit Curran or grind his way to a decision. Whether that actually happens is another story entirely. Curran has faced a tough grappler in Straus, and he was able to finish Straus in both their first and third meetings. Straus is a better fighter than Weichel, which should only add to Curran’s confidence levels in this fight. He is the more well-rounded fighter, too, and you can’t discount his experience either. Whereas Weichel’s primary focus is on his grappling, Curran has finished plenty of opponents with his striking. Curran won’t win this contest by submission. Instead, he will get his sixth knockout victory. Gabrielle Holloway replaces Talita Nogueira on short notice against Julia Budd. Holloway and Budd will have little over a week to prepare for each other, which makes this anybody’s game. In a late-replacement affair, it typically comes down to pure skill. In that area, the nod goes to Budd. She is the more experienced fighter. 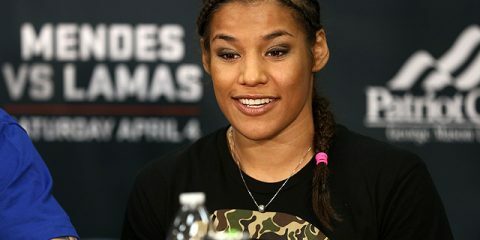 She has seen action against some of the top 145-pounders, including Ronda Rousey when both fighters competed in the division under the Strikeforce banner. The 31-year-old is also going to be the bigger fighter with a five-inch height advantage and could certainly use that to bully Holloway in the cage. Budd is the better striker heading into this fight and, with the size advantage, she’s a good bet to outpoint her opponent on the feet. 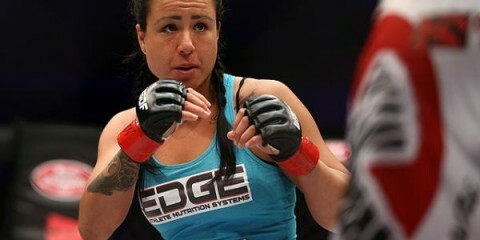 Budd has also become more offensive in bringing the fight to the ground and grinding her opponents en route to a victory. In a short-notice fight, that could be the difference maker. 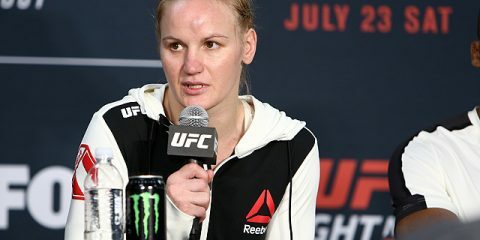 Holloway doesn’t have any big names on her resume and she is taking a step up in competition for this fight. 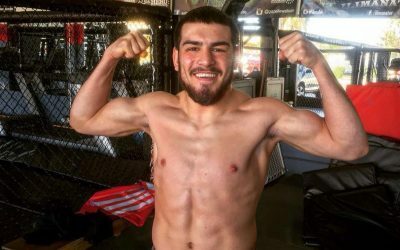 The 24-year-old has a ton of potential in the future to become one of the better fighters in a shallow 145-pound division, but as of right now, this is a tough fight even with a full camp, let alone on short notice. 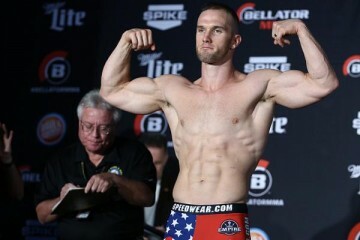 Bellator pits welterweight prospects Clayton MacFarlane and Chris Honeycutt against each other to kick off the main card. Honeycutt has a ton of potential. The 26-year-old looked great against Aaron Wilkinson in his last fight. He had some great slams and his top game looked amazing. 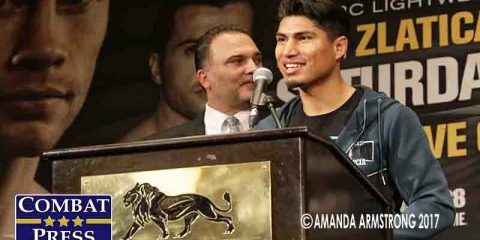 His ground-and-pound attack in particular looks devastating, and it could make him a dangerous opponent at 170 pounds. MacFarlane debuted in 2012 with a split decision victory where he used his wrestling to control the fight. He then went inactive until 2014 before turning into a first-round finisher with three stoppages in the calendar year. It’s impossible to know what to expect from MacFarlane, who has switched up his game. 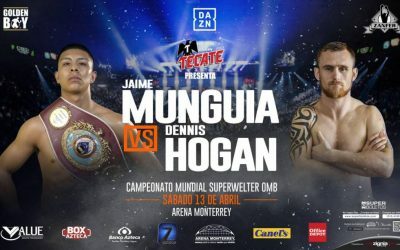 The changes could be due to the level of competition — his three most recent opponents are a combined 0-15, whereas his first opponent is now 4-1 — or it could be due to a drastic change in his own skill level. Honeycutt has been a great prospect for Bellator, and he has a big future ahead of him if he gets past MacFarlane. Honeycutt should take this fight by late TKO.